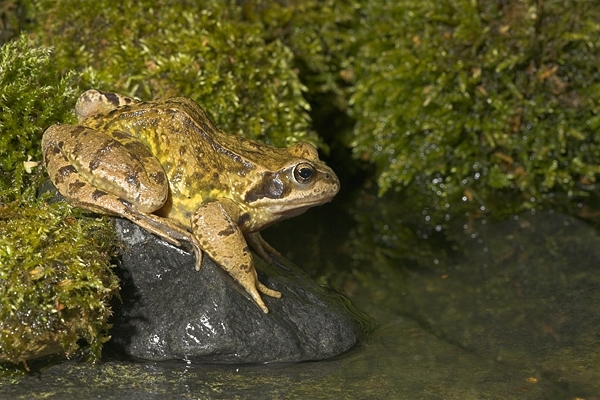 Home | Reptiles & Amphibians | Frog at pool 1. Aug '10. Set up a small pool in back garden in Chirnside,Scottish Borders. Canon 1D Mk11N,180mm lens,1/200 f16,flash.